Worldwide, there are over 1,000 places recognized by the United Nations as having a special cultural or physical significance. These sites can be a building (e.g., Angkor Wat, Cambodia), a city (e.g., Bruges, Belgium), or a garden (e.g., Suzhou, China). It can also be desert, an island, a lake, or a monument. 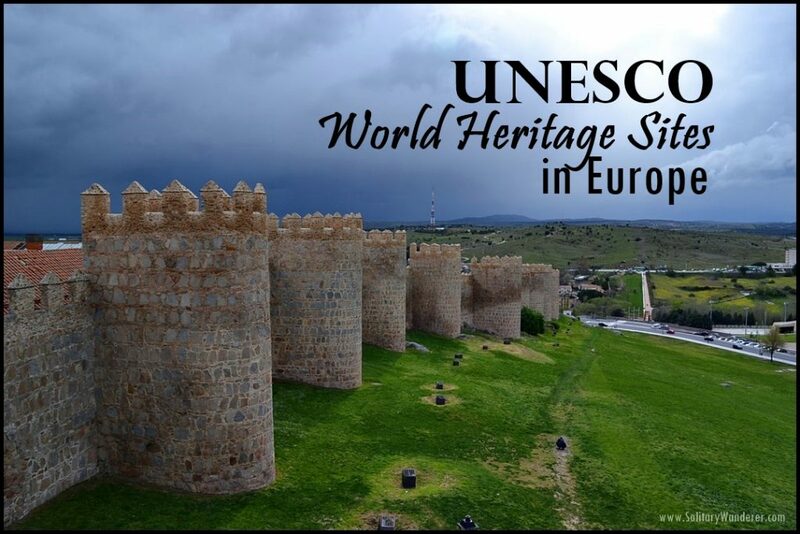 The UN Educational, Scientific and Cultural Organization (UNESCO) — composed of 21 member states — decide on what constitutes as a world heritage site see complete list here. At the moment, I don’t know how many heritage sites I’d been to. I’ve been to some countries with the greatest number of places listed — there’s Italy with 51 sites, China (48), Spain (44), Germany (40), and India (32). Someday I’ll come up with a list. 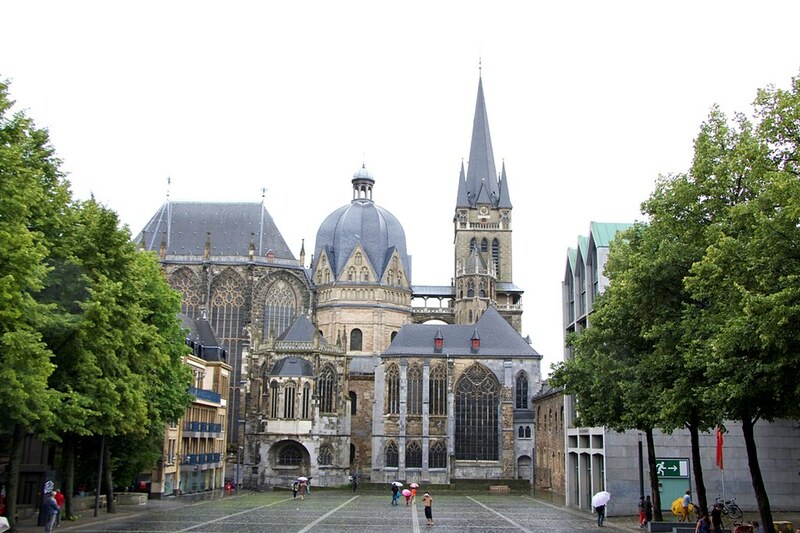 Aachen’s Cathedral was part of the first group of 12 sites inscribed into the UNESCO World Heritage Site List in 1978. Charlemagne, who is considered the father of Europe and made Aachen his home, had the palace and chapels built in the 700s. German kings held their coronations there until the 1500s. Today it makes a great day out to connect with the past. Located on a rocky outcrop above the city, you can find a number of ancient buildings in the Acropolis. It’s a grand complex with structures that are thousands of years old — there’s the Parthenon, the Propylaia, the Erechtheion, and the Temple of Athena Nike — reeking of history and generations of human piety to the powers above. 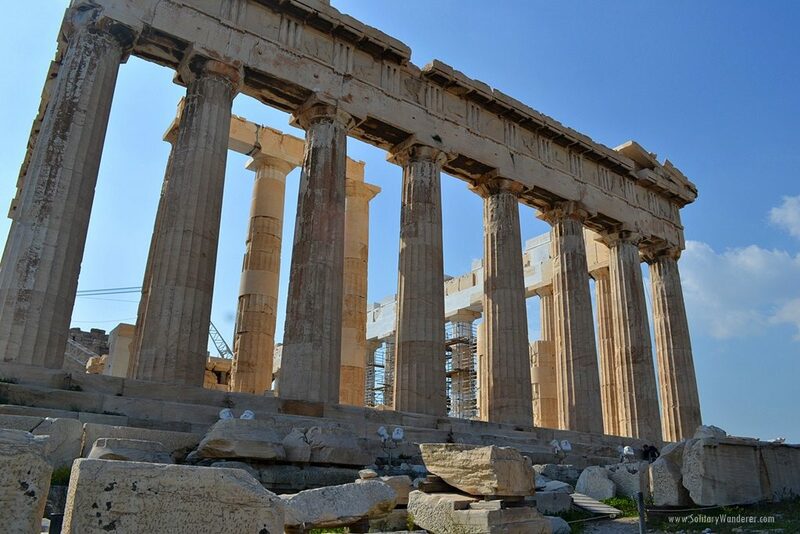 Of the buildings in the Acropolis, the Parthenon is the most famous. All over the world, there are thousands and thousands of photographs of it standing tall and proud, a proven testament to the power of man who made something study enough to survive centuries of human violence and even indifference. The Parthenon is being restored, however, so don’t be surprised if you find that there are cranes in front of it. 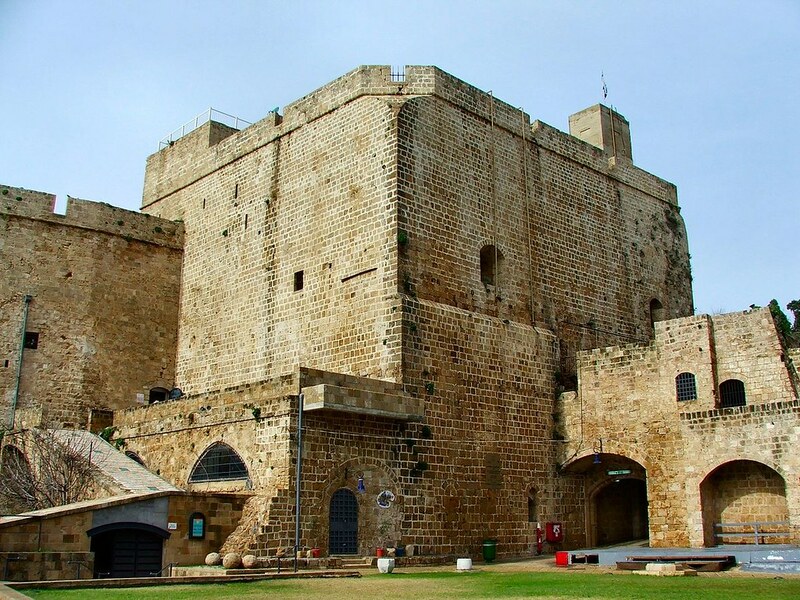 The 5,000-year-old fortress city of Akko, Israel, which is located on the Mediterranean 14 miles north of Haifa, was long ago the capital of the Crusader kingdom of St. Jean d’Acre. Napoleon was unable to conquer it. Today the souk in the old walled city is interesting to walk through. Don’t miss the spice shop — I purchased a tasty vindaloo curry spice mix there. While Madrid will show you Spain as it is today, Granada is the place where old Spanish charm lives on. 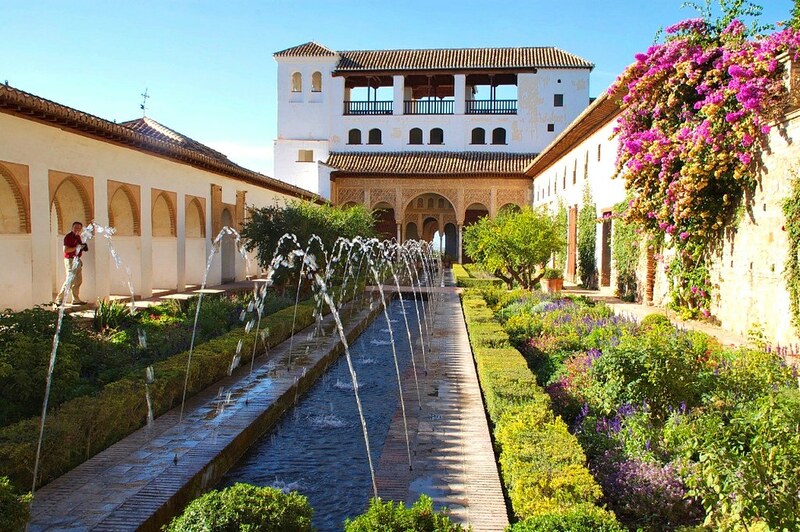 Escape the concrete to Alhambra — a fortress and palace or Moorish origin where sultans once resided. Wander among terraced gardens, catch sunset at the reflective pool of Generalife, and admire the ornate architecture of Palacios Nazaríes. The entire historical center of Bruges is recognized as a UNESCO World Heritage Site and the Belfry is part of that center, but the building is also recognized as a UNESCO Site for being one of over 30 “Belfries of Belgium and France.” I guess you could say the Belfry of Bruges is a double UNESCO Site. It dominates the city’s central market square where its 83-meter high tower used to serve as a watch tower from where approaching danger could be spotted. Now, paying visitors can climb its 366 steps all the way up to get a great view over the city. It’s not a climb for the fainthearted and the steps are pretty narrow. Cathedrals that are designated as a UNESCO World Heritage Site is usually part of the historic center of a city. 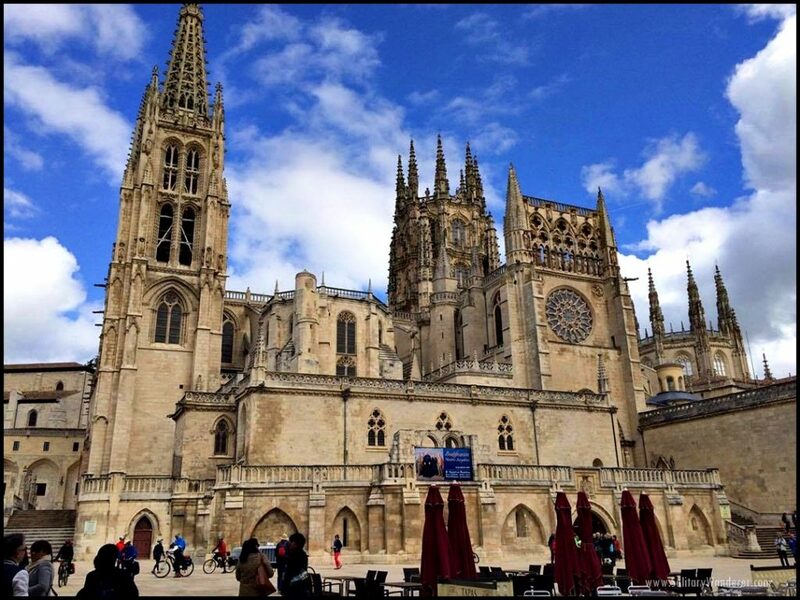 The Cathedral in Burgos, however, was declared a Heritage Site independently, the only one in Spain with this distinction. Built in 1221, it is an excellent example of a combination of multiple influences; the height (made possible by the ripped vaults and flying buttresses) and the brightness inside the church was due to the French, while the Germans influenced the spires. Inside the church, you will also find masterpieces by Flemish and Italian artists. Caernarfon Castle is the largest of any of the Edwardian Welsh castles. The Castle is a part of the designated area UNESCO calls “Castles and town walls of King Edward in Gwynedd (Wales).” Construction of Caernarfon started in 1283 for defensive purposes; it was used as a seat of government as well. These days, Caernarfon Castle receives more than 200,00 visitors a year, some of whom walk 90% of the castle walls . In the middle of the courtyard is a platform where the current Price of Wales, Prince Charles, was inaugurated as the Prince of Wales in 1969 by his mother Queen Elizabeth of England. 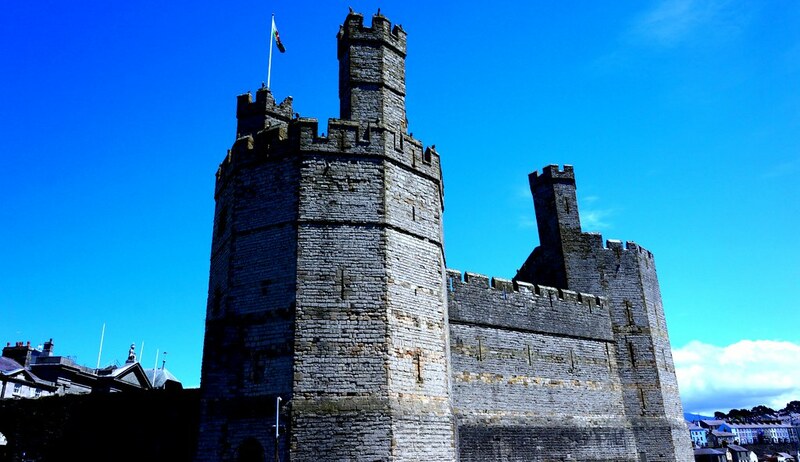 Caernarfon is an amazing site to visit and North Wales is an amazing land to explore. Dating back hundreds of years, the stretch of Italy’s coastline known as Cinque Terre (Five Lands) is home to a wealth of history, colorful buildings, boatloads of charm, and some of the most picturesque vistas and sunsets to be found in Europe. The five villages — Monterosso al Mare, Vernazza, Corniglia, Manarola, and Riomaggiore, are part of the Cinque Terre National Park and as a whole make up a UNESCO World Heritage Site. Each village has its own personality and all are linked by some of the best hiking trails in Italy. 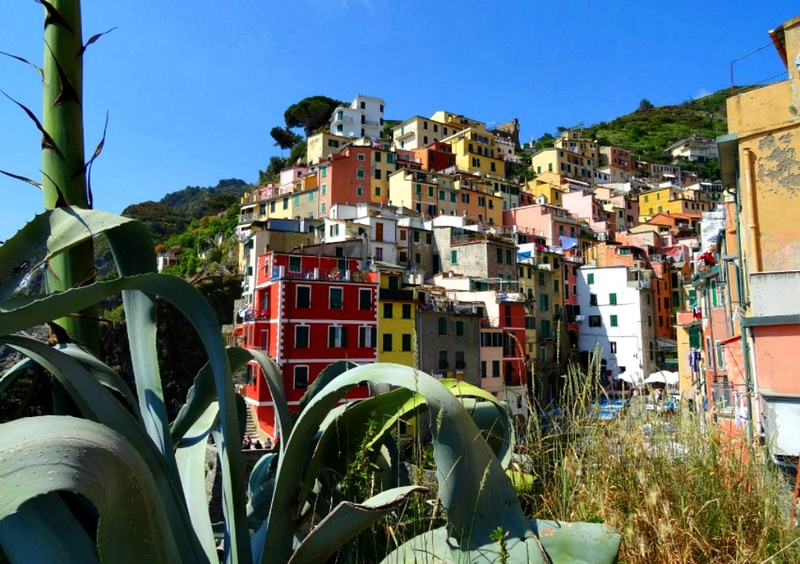 From terraced wine groves to rugged mountain paths and those that hug cliffs that offer epic views over the Mediterranean, Cinque Terre has a wide range of trails. Cinque Terre is one of my favourite UNESCO World Heritage Sites for all there is to explore, from castles to cafes, and for the magnificent magic it holds. Italy has the most number of UNESCO world heritage sites, ranging from historic centers and monuments of antiquity, to mountain ranges and prehistoric dwellings. 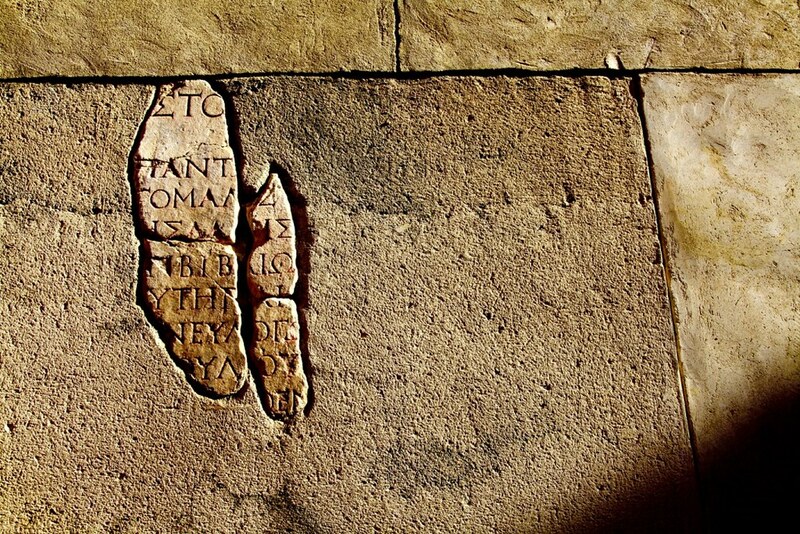 The Colosseum, as part of the historic center of Rome, has a dark past. 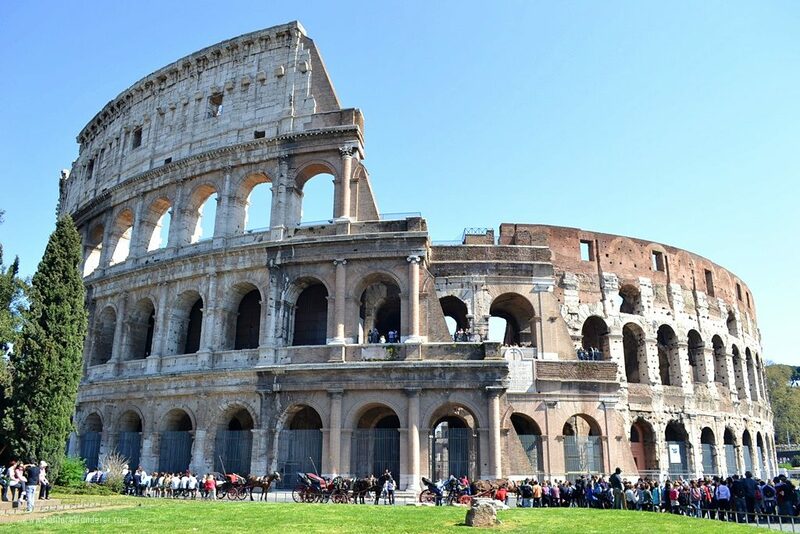 Also known as the Flavian Amphitheatre, it was built in AD 72 (completed 8 years later) as an entertainment center where gladiatorial contests, re-enactments of famous battles, and dramas were held. The Colosseum has a capacity of up to 80,000 people. Go inside when you can and imagine what it must be like in the time of the Flavian dynasty. The Mezquita de Cordoba (Cordoba Mosque) is well worth a stop when exploring Spain because of its interesting history and beautiful architecture. 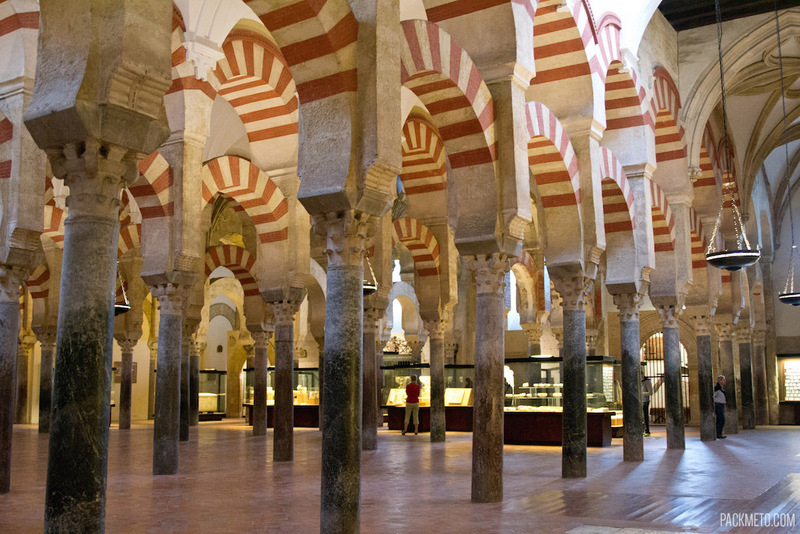 At one time or another, and sometimes even at the same time, through its history, the Mezquita has been used by Muslims and Christians as a place of worship. Remnants of both religions are still visible today with a Renaissance cathedral in the center of the Mezquita and the mihrab on the southern wall denoting the direction of Mecca. The building itself is a stunning example of Moorish architecture and is well worth exploring. If there is one UNESCO World Heritage site that I think you should try to get to, it’s the Old City of Dubrovnik in Croatia — it’s amazing! 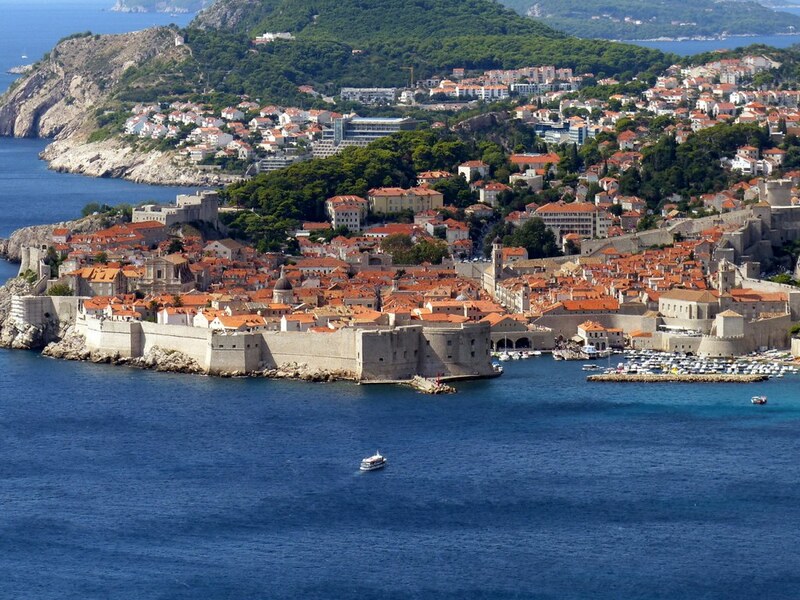 If you have ever turned on Game of Thrones, then you may have some idea of what to expect since this old city is used as the backdrop for scenes for Kings Landing. It’s even better in real life, with its many churches, winding alley ways, shops, restaurants, and bars. The best part is that despite it being incredibly popular, it’s still possible to slip away from the crowds. The best thing to do if you make your way here is to walk around the city walls. This gives you a great view over all the area and is also a fun activity. 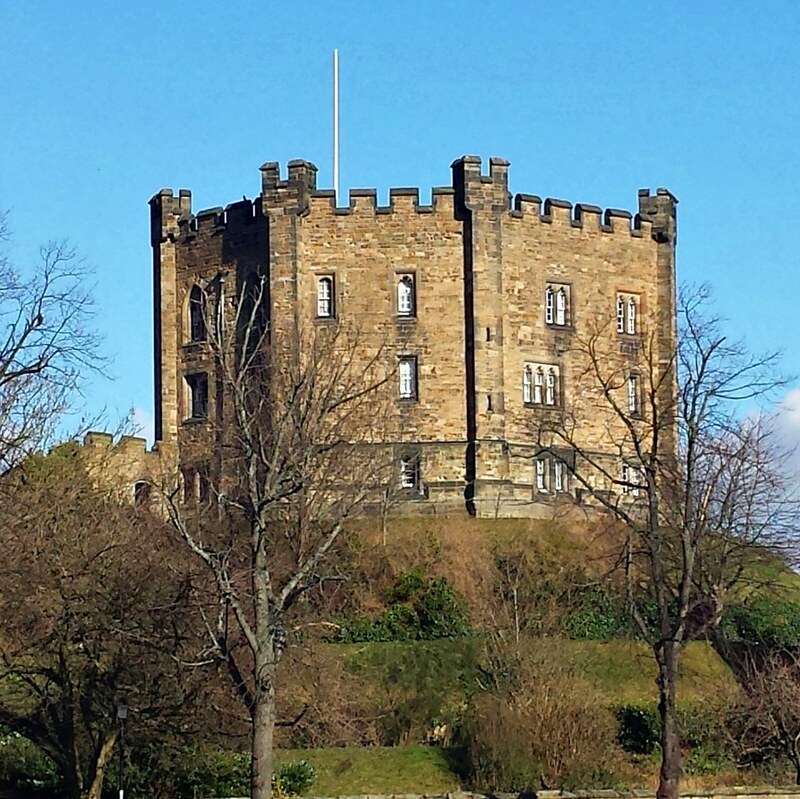 Durham in the Northeast of England has a Castle and Cathedral that sit high above the city. They were built in the 11th and 12th Century and are a UNESCO world heritage site. The remains of St. Cuthbert, one of the most important figures of Christianity in Northern England, and the Venerable Bede, the father of English history, are housed in Durham Cathedral. This makes Durham UNESCO world heritage site very significant for pilgrims and visitors interested in history and religion. The architecture is one of the obvious reasons to visit. With some of the best Norman architecture left intact in the UK, Durham cathedral is breathtaking. Set on the banks of the River Wear, it is a very picturesque site to visit. Located in Western Turkey is the ancient city of Ephesus. It was built in the 10th century and became famous in ancient times for the Temple of Artemis. The Temple was one of the “Seven Wonders of the Ancient World,” but little is left now. The site of Ephesus itself is very well preserved. The town of Selcuk itself holds many ancient making it a very well visited destination in Turkey. As one of the 24 newest UNESCO World Heritage Sites from 2015, the Forth Bridge in Scotland is as iconic as it is beautiful. Opening in 1890, it was the longest single cantilever bridge span in the world, and only one other bridge has surpassed it to this day. 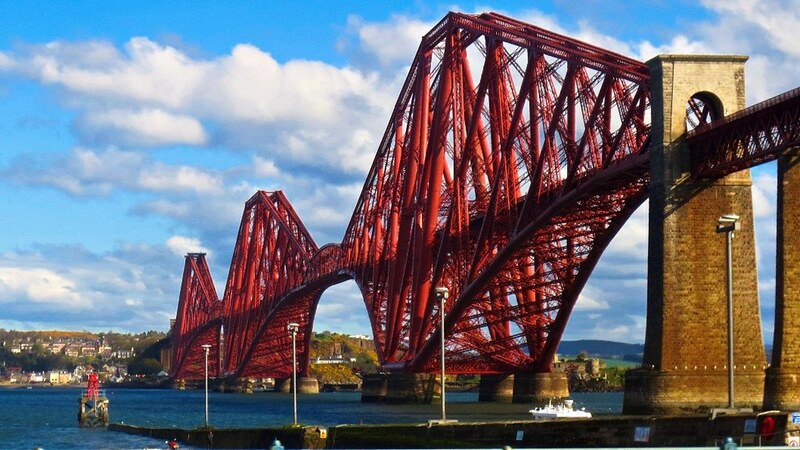 It spans 2,467m across the Forth of Firth, from South to North Queensferry. Although it is the sixth UNESCO site in Scotland, it is, and has always been, Scotland’s internationally recognized landmark, with proud #scotspirit. It doesn’t take long to explore this attraction, and the small villages nearby aren’t keen on a lot of tourists standing around, but one of my highlights from 2015 was a trip to the bridge at 4am to watch the sun rise. 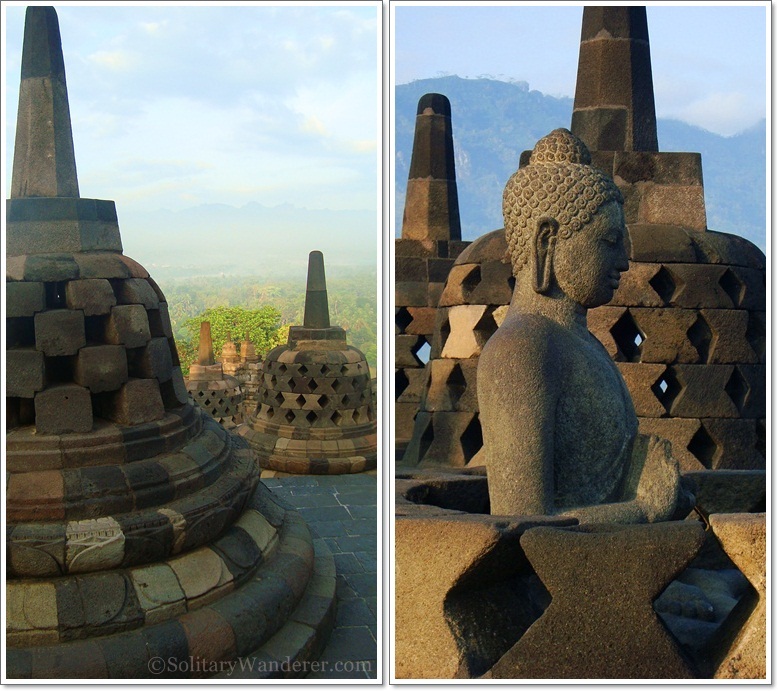 If you love scenic views and cultural heritage, this is the spot for you. I was having a Hoegaarden and my friend, Mikey was having a Stella Artois in Brussels, Belgium. This was before the Euro and the Belgian Franc was not performing well against the U.S. Dollar, so we had a few and feeling quite good. 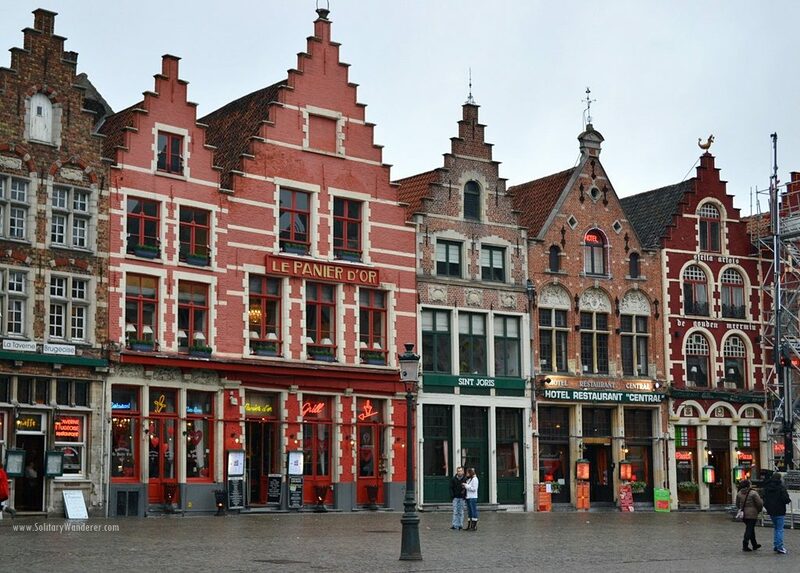 I remember looking out onto the square in which the tavern was located, thinking that the Grand Place was the most beautiful I have seen in my travels. That was 20 years ago. Now, both beers are ubiquitous and the Dollar translates into Euros less favorably. This year, I returned to Brussels with my daughter and wife. On a cold January evening, before we turned the corner, I told the both of them to prepare themselves for what they were about to see. When they did, their jaws dropped and my daughter quickly ran toward the center and my wife whipped out her many devices to capture the moment. I stood there watching their excitement and once again being captured by its regal beauty. This time, it wasn’t the drinks and my memory seemed to have been served correctly. 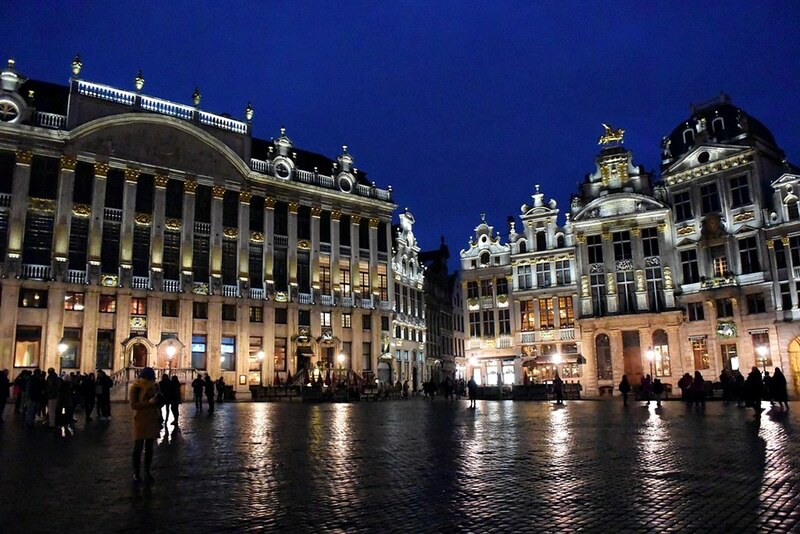 Some things may have changed, but in my book, the Grand Place is still the most beautiful square I have seen. 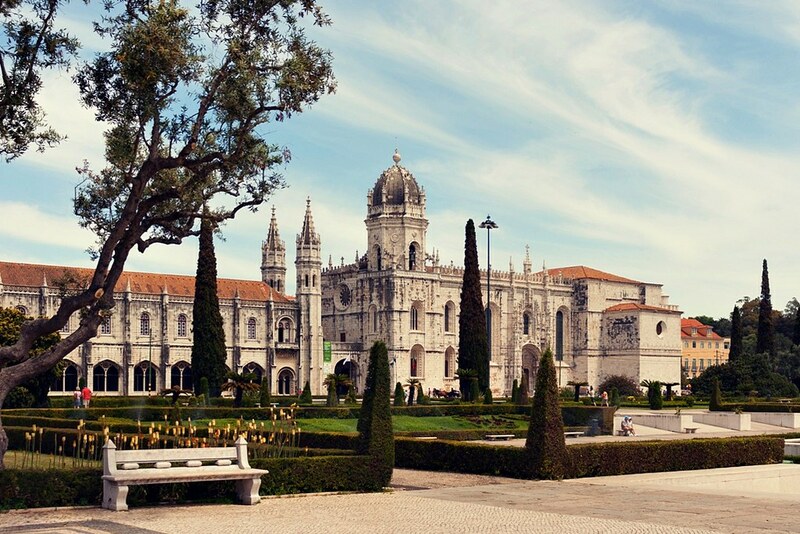 The Jeronimos Monastery in Portugal was listed as a UNESCO World Heritage Site in 1983. Its construction started in 1501 and ended in 1601, with a few decorative additions later in the 1700s. Not only it is an undeniable icon of Lisbon but it is also a remarkable symbol of three major architectural periods in Europe: from a pure “Manueline” style (the Late Gothic period in Portugal was named like that after the ruler at the time, King Manuel) that slightly evolved to Plateresque and then morphed into Renaissance style. The monastery took 100 years to be completed, with different architects and influences, therefore, it’s hard to say the style is mainly this or that. However, the Manueline features are unmistakable: the columns that resemble ropes, the leaves and acorns as decorative elements, the shells, and pearls as symbols of the sea life and the very important age of Discoveries and Portuguese Expansion, the King’s symbol everywhere as a trademark of his reign. The intricate stonework also shows some influence of the religious architecture in India. The Monastery not only stands as the symbol of a crucial time in History for Portugal but as a reminder of the country’s diverse cultural influences. We were not expecting to find a UNESCO World Heritage site when we got off the train and spent a few days in the northern Italian village of Domodossola. But we did. The Sacred Mount Calvary of Domodossola is also known as the Sacro Monte Calvario. It is a Catholic refuge on the Mattarella Hill overlooking this lovely little town. There are 15 chapels dedicated to the Stations of the Cross, and you meander up and around the mountain to visit them. This is known as the devotional route. The Santuario del SS. Crocifisso is located at the top of Monte Mattarella and is also a friary to the Convent of St. Francis of Friars. Sacro Monte is a popular place for pilgrimages, and there are also concerts held there. It is a bit of a climb to get up and around The Sacred Mount Calvary, but it is worth it for the views of the town, the snow-covered Alps and the views stretching down the Piedmont Valley. 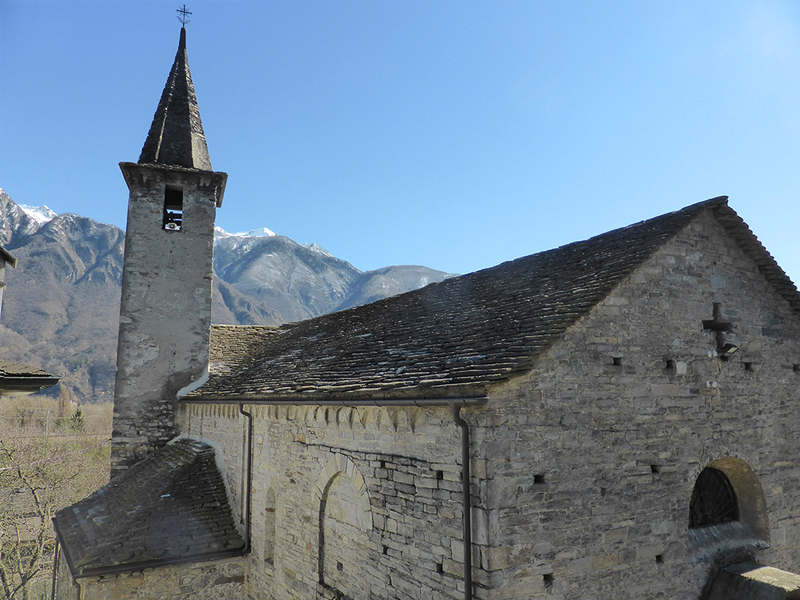 The Unesco site was a Totally unexpected find, as was Domodossola. The Museum Island, or how the Germans called it, Museumsinsel, is the northern part of a super cool island that is in the middle of Berlin, most precisely in Mitte. 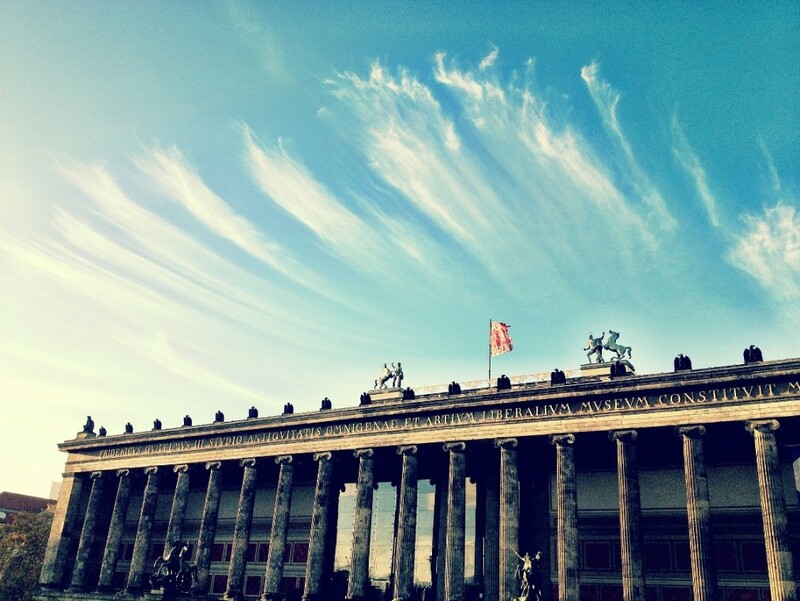 The island hosts five of the most important museums in whole city and the Berliner Dom. Over there you’ll find the Altes Museum with the antique collection of the Berlin State Museum, the Neues Museum with Egyptian and some more stuff (Nefertiti is there, people! ), the Altes Nationalgalerie with an incredible collection of Romantic, Neoclassical, Impressionist, Biedermeier, and early modernist artwork, the Bode Museum with the collection of Willhem von Bode (collection of sculptures, Byzantine art, and coins and medals) and finally, my favorite of them all: the Pergamon Museum. Pergamon Museum has stuff from Middle East and Islamic art, the Pergamon Altar in full glory, the Ishtar Gate (Babylon, guys!!! Babylon!) and the chin-dropping Market Gate of Miletus from Turkey. Prepare something like 3 to 5 days to see the whole thing. The whole stretch from the Liberty Bridge to Margaret Island covers the Banks of Danube which was declared a UNESCO World Heritage Site in 1987. There are many bridges that span the Danube River linking Buda and Pest, the western and eastern sides of Budapest. Among these, the Széchenyi Chain Bridge (commonly known as the Chain Bridge) is the oldest and the most famous. 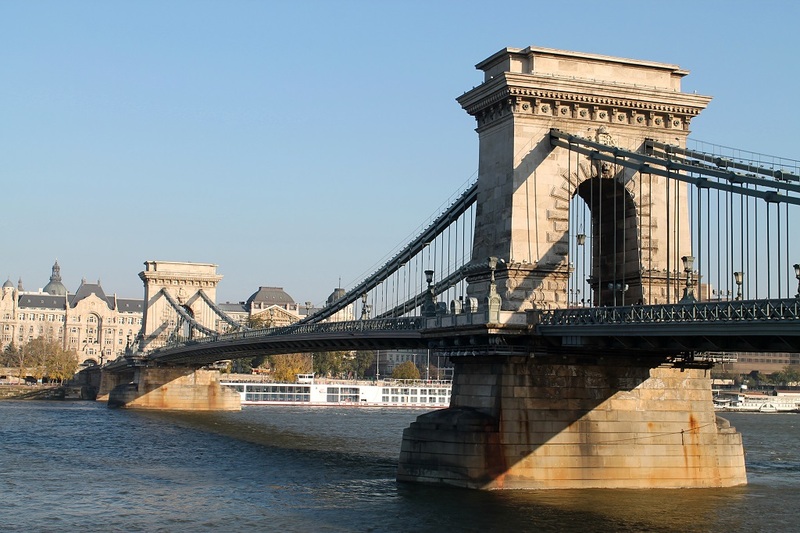 Completed in 1849, this suspension bridge has become an icon of the Hungarian Capital. Its decorations are made of cast iron and concrete. Who wouldn’t adore the guardian lion sculptures? While the Chain Bridge looks beautiful any time of day. It comes to life at night. From the Buda side, you can watch the Chain Bridge glitter in beauty along with the Parliament Building located on the Pest side. 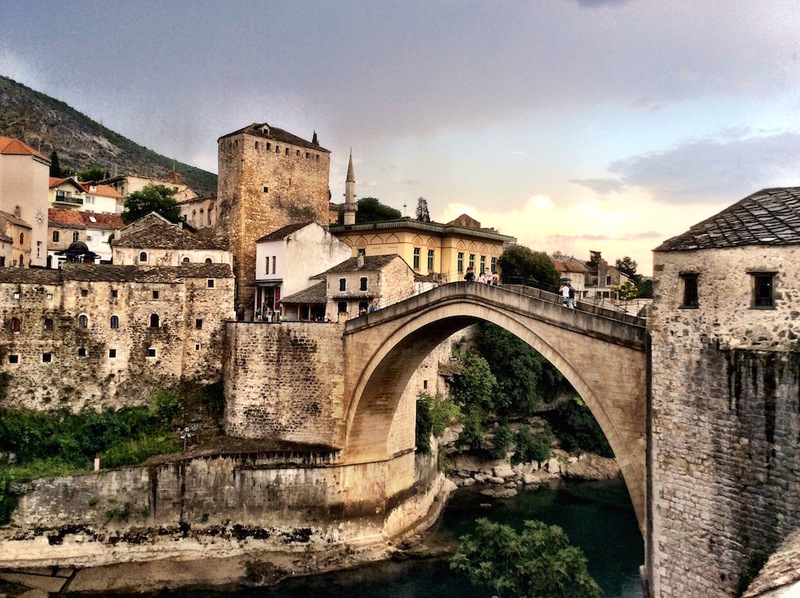 Something about Mostar, in the Herzegovina part of Bosnia and Herzegovina, will draw you in. It might be the patterns in the cobblestone streets which date back to the Middle Ages. It might be beautiful Stari Most, literally the “Old Bridge,” designed by a student of theTurkish architect responsible for the Suleiman Mosque in Istanbul. It might be that a multi-national coalition rebuilt the bridge after it was destroyed in the 1990s war. It might be the delicious burek or baklava, washed down with famed Bosnian coffee. It might be other cosmopolitan buildings from the Ottoman Empire which reflect Mostar’s historical diversity: an Italianate Franciscan church, vintage Ottoman and Dalmatian houses, or an Orthodox church which was a Sultan’s gift. Since 2005, Stari Most and its immediate environs in Old Town Mostar have been on UNESCO’s World Heritage list. Whatever the reason you cite, Mostar will have a place among your favorites. 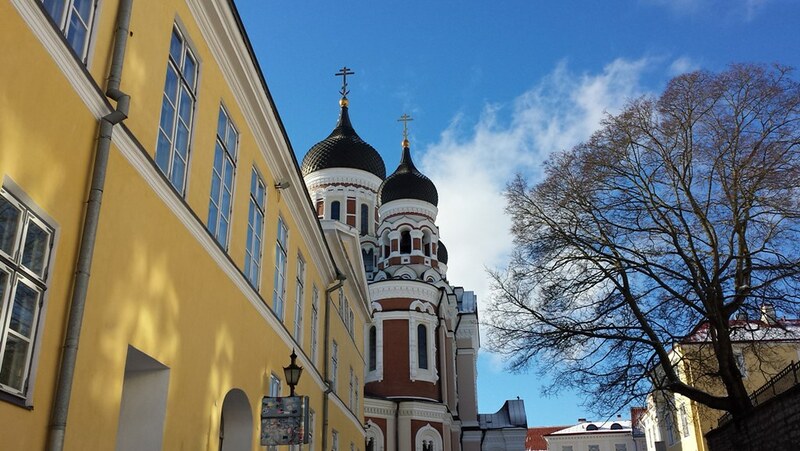 Tallinn’s historic center is one of the best preserved medieval towns and the most important UNESCO heritage site in Estonia. The center is surrounded by defensive walls and hills which divides the city into lower and upper part. While the lower parts host the previous merchants’ houses, the upper part has the cathedral and castle and can give you a breathtaking view of the city from above. Another great view point would be St. Olaf’s church, but keep in mind the tower is open only in the warm months. Small cobblestone streets, Gothic style churches, old courtyards, and architecture defined by German and Danish predecessors give the old town an authentic vibe and can make you feel like you’ve just landed at the set of Game of Thrones. You can even enjoy your meal and beer in the evening at restaurants and bars with the same medieval style, often dark and set a bit underground. Even the staff is dressed properly in historic costumes and can entertain you with a specific accent or archaic word order. Try the Three Dragons pub -– not for the quality or variety of food and drinks but for the unique experience. The old town’s square hosts a Christmas market in the winter. Throughout the whole year you can find on one side of the square one of the oldest pharmacies in Europe. A short drive from Reykjavik is Thingvellir National Park. 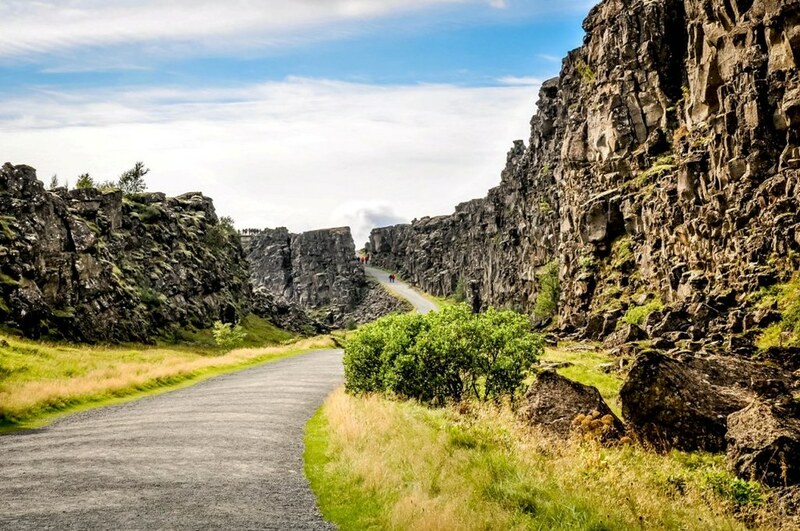 Situated atop the intersection of the North American and Eurasian tectonic plates, the park affords visitors the chance to actually walk between continents (or scuba diving for the more adventurous). However, Thingvellir is noted by UNESCO for its important cultural significance. Here on the grassy side of a hill, the Icelandic Parliament met in an open-air session lasting for two weeks every summer. For nearly a thousand years, this was the heart of the Icelandic nation. Thingvellir National Park is the heart of the Golden Circle touring route and is one of the most popular destinations outside of Reykjavik. It is well worth spending time hiking the park and connecting with the Icelandic spirit. 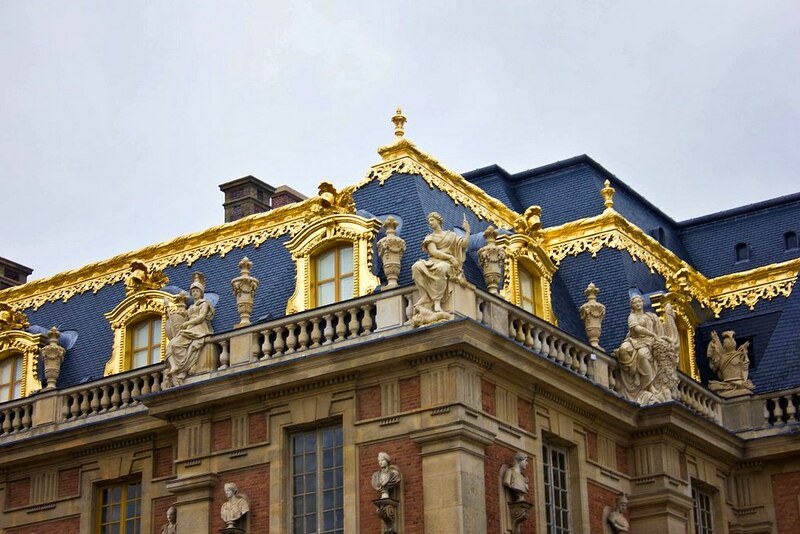 The Palace of Versailles was once the home of France’s royal family and the royal court. Although it no longer serves as a major political center, it continues to serve as a symbol of the country’s 17th- and 18th-century monarchy. Welcomed with impressive gold leaf gates, visitors will notice right off the bat how ornamental the palace is. But aside from the luxurious embellishments that adorn the exterior and interior, the chateau details the history of the monarchy and paints a picture of how the royal family lived. Aside from the king and queen’s bedrooms, the Hall of Mirrors — filled with hundreds of mirrors, marble walls, and dazzling chandeliers — is a must-see. But make sure to venture outside of the chateau itself. While the sheer extravagance of the palace is fascinating, the true beauty lies in the grounds. Walk or rent a bike to explore the massive gardens, where you’ll find sculptures, fountains, groves and flower beds. The grounds are also home to the Grand Trianon, a smaller residence as well as the Petit Trianon and the Queen’s Hamlet, both of which are linked to Marie Antoinette. Gardens and orchards also surround the buildings in her estate. This is but a sampling of the UNESCO World Heritage Sites in Europe. There is so much more, and for someone who travels for ancient structures, or places with great historical and cultural significance, it can be a good idea to hunt down these sites one at a time. What’s your favorite heritage site in Europe? I love Acropolis and Colosseum, they are unforgettable. I remember going to festivals on the Chain Bridge in Budapest, Hungary as a kid. They would close it down to traffic and dozens of stalls would appear along the side of the road. Sometimes there’d be musicians or street dancing. This was a cool idea; thanks for posting it! I just got back from the Acropolis and can’t believe it’ not a world wonder! The UNESCO list never fails though, thanks for the ideas! 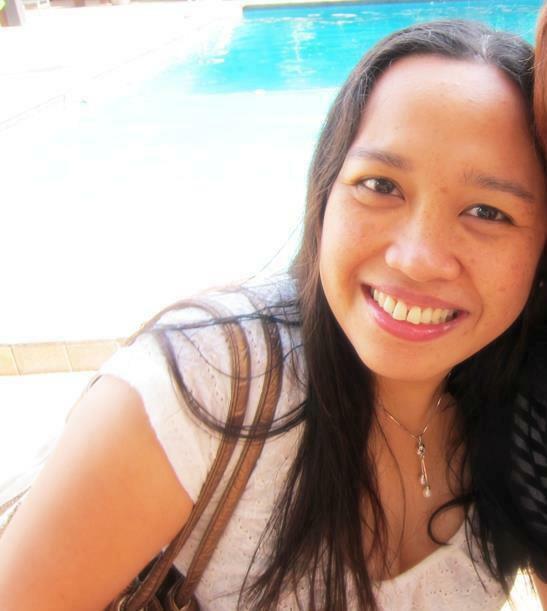 Great post, have you been to any of the UNESCO Heritage site in the Philippines? 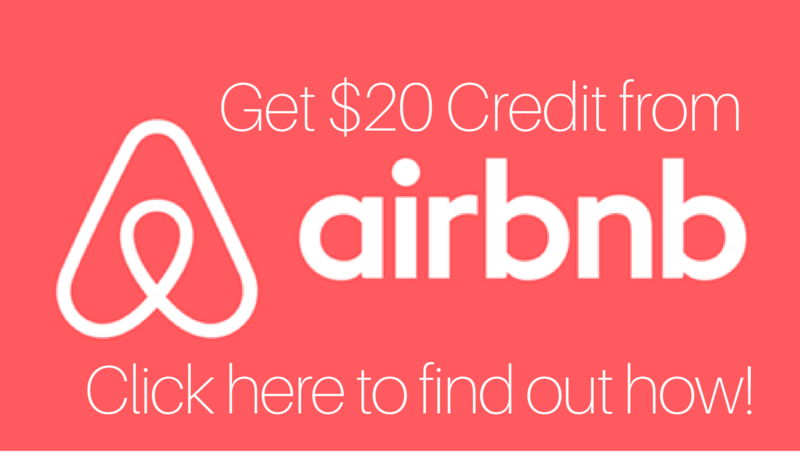 If you are thinking of going to any place here in our country, please check out our website. We hope to hear from you soon. Thanks! God Bless and More Power! I don’t particularly consider it’s UNESCO heritage status when I visit a place, but it’s really nice to check off some in one’s list, isn’t it? True, true. One of these days, I’m going to really list down the UNESCO sites I’ve visited. I’ll try to be more aware of them too when I travel.